Will I Enjoy Dragon Age Inquisition If I liked Skyrim? I reallly loved Skyrim and I loved Oblivion before it. In terms of story, gameplay and the skills etc. I found a lot of enjoyment in the Elder Scrolls games. 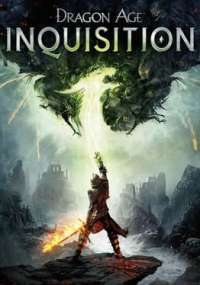 If i liked those games, should I enjoy playing Dragon Age: Inquisition? I am thinking of purchasing the game, but I'm not sure if the game will be anything like the Elder Scrolls games. If you are simply asking if the games are alike then I'd say that you will probably like the story and dungeons, but may not like the gameplay. I personally dont like have to keep tabs on multiple.main characters. In dragon age you take.control of a squad of 4 different characters, all of which you must maintain by keeping gear fresh and building talent trees. I always find I focus on one guy and the rest suffer and for this reason, I tend not to like dragon age when I love the elder scrolls series.